It was an amazing sight to see, as hundreds of pro-lifers packed into the Senate hearing room yesterday to hear testimony on SF 253 -– the Iowa Life-at-Conception Act. This bill already has an amazing 21 cosponsors, more than we’ve ever had on Life-at-Conception legislation before! In the end, the bill passed through the sub-committee by a 2-1 margin — and is now looking at a full Judiciary Committee vote as early as Thursday. In a moment, I’ll give you the contact information for the Judiciary Committee and I hope you’ll immediately contact them and urge them to back this bill! As a reminder, Life-at-Conception legislation very simply states that life begins at conception. But as simple as that sounds, it carries enormous implications, as these unborn lives would be protected by the full force of the law here in Iowa — just like you and I are. This means that anyone who would murder an unborn baby here in Iowa would be facing the same charges that a bank robber would face if he committed homicide in the commission of a robbery. For decades, the pro-life movement has tried to modify, regulate, and pilfer around the edges of the pro-life issue, with no success. More than that, allowing moderate legislators to back these types of weak bills only allowed them to campaign as being pro-life at election time while doing virtually nothing to stop abortion once safely in office. That’s why we’ve seen virtually no change in the abortion fight in all this time. Not with this bill, and not with this organization. 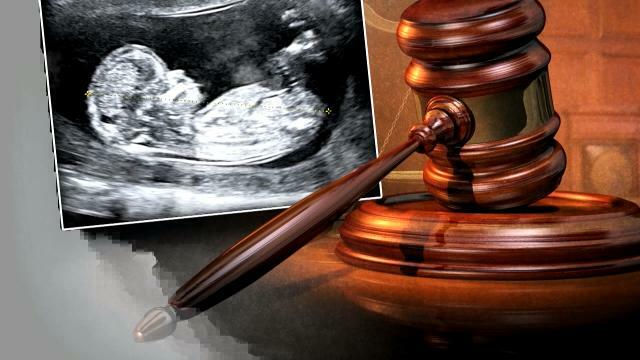 Life-at-Conception legislation would END abortion in our state. More than that, the bill specifically has denied the State Supreme Court any authority to rule on this legislation. We all know that rogue judges on our Supreme Court have a history of judicial activism and of trying to make law here in Iowa, in violation of their oath and charter. That’s why this bill was written like this, to deny them the ability to strike it down and deny them the ability to continue allowing for the death of innocent babies. We’ve racked up 21 cosponsors and passed the first hurdle, the sub-committee. And let me tell you, Planned Parenthood lobbyists backed by hundreds of pro-abortion activists are fighting tooth and nail trying to kill this bill. Already we have reports of moderate pro-life legislators — folks that claim to support the unborn — in the Judiciary Committee who are talking about not supporting this bill in committee. Now is the time to make real changes to save the unborn here in Iowa! We have a self-professed pro-life majority for the first time since the 90’s. Pro-lifers rose up last fall and threw out the pro-abortion Senators who’ve stopped pro-life legislation for years — giving us a real chance at ending this barbaric practice now! But it won’t happen on it’s own. So please contact the members of the Judiciary Committee listed above right away, and insist that they move SF 253 through the committee with no weakening amendments! When you’re through, please consider a contribution to Iowa Pro-Life Action to help us continue to fight for the unborn. I don’t know what you can give. Some have given major contributions of $500 to $1,000. For others, I know that $100, $50 or even just $25 represents a real sacrifice. Whatever amount you can afford, please just act fast as this fight is moving quickly. But please contact the members of the committee listed above right away, that’s most important. P.S. With Life-at-Conception legislation having passed the Senate Sub-Committee yesterday, this fight moves to the full Senate Judiciary Committee. This vote may happen as early as this week! Please contact the members of the Judiciary Committee listed above using the information we’ve provided and insist that they advance SF 253 through the committee with no weakening amendments! We’ve tried to regulate and control the abortion issue for decades, with no success. Life-at-Conception legislation would END abortion here in Iowa, so please act fast. And if you can, please make a contribution to Iowa Pro-Life Action right away to help us get ready for a ‘floor fight’ on this bill. ← Life at Conception Legislation Filed in the Iowa House!